This is an excerpt from one of two iBooks I authored for the Making Invisible History Visible project through the Omaha Public Schools. It was part of a larger Nebraska Department of Education digial publishing initiative. 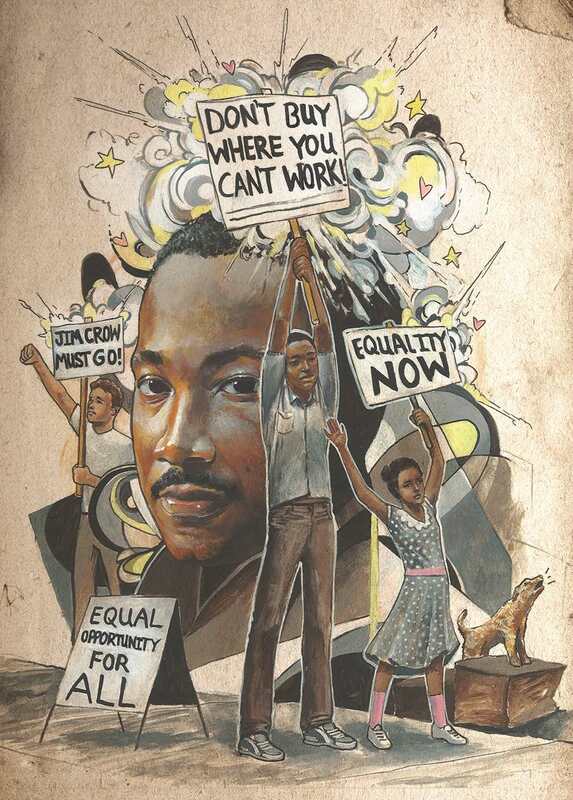 Working with teachers and illustrators we looked at sspects of African-American history with local storylines. My two 3rd grade books deal with the Great Migration and Civil Rights. The excerpt here is from the Civil Rights: Standing Up for What’s Right to Make a Difference book that looks at the movement through the prism of the peaceful demonstrations that integrated the popular Omaha amusement attraction, Peony Park. NOTE: More Great Migration stories can be found on my blog. During the summer of 2013, eight Omaha Public Schools teachers each developed an iBook on a topic of Omaha and Nebraska history as it relates to African American History. The four 3rd grade books are: Then and Now: A Look at People in Your Neighborhood; Our City, Our Culture; Civil Rights: Standing Up for What’s Right to Make a Difference; and The Great Migration: Wherever People Move, Home is Where the Heart is. The four 4th grade books are: Legends of the Name: Buffalo Soldiers in Nebraska; African American Pioneers; Notable Nebraskans; and WWII: Double Victory. Each book was written by a local Omaha author, and illustrations were created by a local artist. Photographs, documents, and other artifacts included in the book were provided by local community members and through partnership with the Great Plains Black History Museum. These books provide supplemental information on the role of African Americans in Omaha and Nebraska history topics. It is important to integrate this material in order to expand students’ cultural understanding, and highlight all the historical figures that have built this state. Each book allows students to go beyond the content through analysis activities using photos, documents, and other artifacts.Through these iBooks, students will experience history and its connections to their own cultures and backgrounds. Imagine wanting to go swimming on a hot summer’s day at a big public pool. You arrive there with the simple expectation of laying out in the sun and cooling off in the refreshing water. But when you show up at the front gate ready to enter the pool and have fun you are turned away because you are black. Naturally, your feelings are hurt. You’re probably angry and confused. How unfair that you cannot go swimming where everyone else can just because of your skin color. “What can be done about this?” you wonder. It may surprise you to know this actually happened in Omaha, Nebraska, and the young people who were denied admission decided to do something about it. Some of them were Omaha Public Schools students. 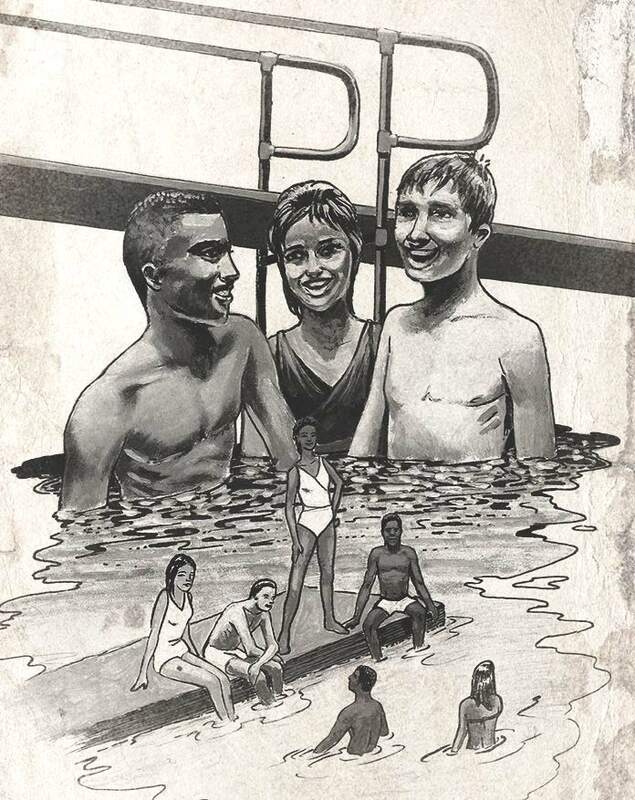 In 1963, they organized protests that forced the swimming pool owners to let everyone swim there. How were people’s civil rights violated at Peony Park? There was a time in America when black people and other racial minorities were denied basic human rights because of the color of their skin. Racism and discrimination made life difficult for African Americans. Often, they had to use separate facilities, such as black- only water fountains, or take their meals in the back of restaurants. Even something as ordinary as a swimming pool could be off-limits. Segregation in all aspects of daily life emphasized that African Americans were not equal and this system could be enforced with violence. If a black person tried to take a sip of water at a fountain, eat at a counter reserved for whites, or sit in the front of a bus, they could be arrested or attacked. The system of segregation in America was called “Jim Crow.” In the South, Jim Crow segregation laws severely restricted blacks from using public facilities. But these laws were in place all over the nation. These harsh measures were put in place after the end of slavery. Though African Americans were now citizens, Jim Crow laws made black people second-class citizens, denied opportunities open to everyone else. African Americans experienced racial discrimination in Omaha. A popular amusement park that used to be here, Peony Park, did not let blacks use its big outdoor pool. Unfair practices like that sparked the civil rights movement. People of all races and ethnicities joined together to march and demonstrate against inequality. They advocated blacks be given equal rights in voting, housing, jobs, education, and recreation. Following World War II protestors with the De Porres Club in Omaha peacefully demonstrated against local businesses that refused to serve or hire blacks. Members of the De Porres Club included the people of Omaha’s African American community, college students from Creighton University, and more. They were active from about 1947 to the early 1960s. In 1963, members of the NAACP (National Association for the Advancement of Colored People) Youth Council, some still high school teenagers, decided to challenge Peony Park and its racist policies. “Activism was in its heyday, activism was alive and well. Every community of black folks around the country was involved in some initiative and that was the Omaha initiative,” said Youth Council Vice President Cathy Hughes. Though only 16 at the time, Hughes was a veteran civil rights worker. As a little girl she carried picket signs with her parents when they participated in De Porres Club protests. 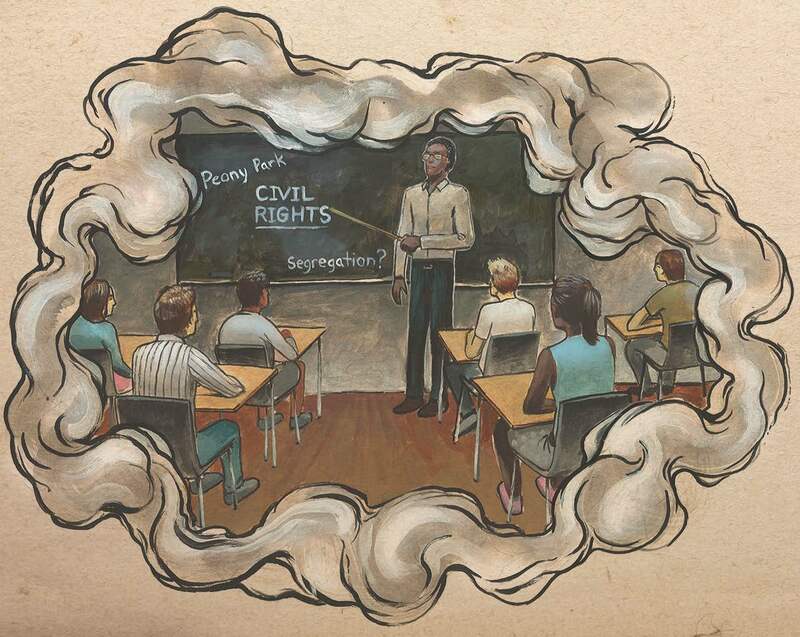 Godfrey and his peers closely monitored the civil rights movement and saw an opportunity to do here what was being done in Birmingham and Selma, Alabama, where Rev. Martin Luther King Jr. and others were waging nonviolent social actions. Omaha Youth Council members had trained in nonviolent protest methods at NAACP regional events. Godfrey said, “We decided, ‘Well, let’s do what they taught us. We’ll test it. '” And they did. The Youth Council activists came up with a plan for their protest. First, members tried to gain admission to the pool. Each time they were told it was full, even though whites were let in. Members next removed the ignition keys from their cars to block the entrance and exit. “That was the beginning of the demonstration,” said Godfrey. 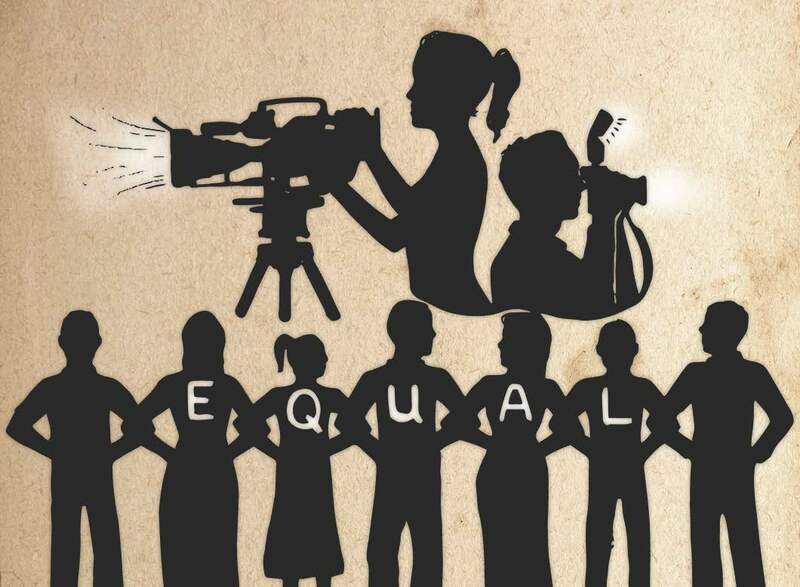 “We were nonviolent, we didn’t go out and shout and scream at them, we didn’t throw bricks, we didn’t spit, we didn’t do anything but demonstrate for the next two weeks.” Protesters also made sure the media was present to document their activities. He said the human chain they formed with clasped arms outside the front gate was only as strong as its weakest link. They needed solidarity to keep their cool. “If one of us had lost self control and got mad and went across the street and hit one of the those kids all hell would have broke out and it would have killed everything,” Godfrey observed. Cathy Hughes said all their training paid off. “We were disciplined, we were strategic.” No violence ever erupted. No arrests were made. For a time the Malec family that owned and operated the park resisted making any changes. But after losing business, being challenged with lawsuits, and getting negative publicity, they opened the pool to everyone. The youth protestors won. The events of that summer 50 years ago helped shape Godfrey. The lesson that youth can change things for the better has stayed with him. “I’ve been an activist and politically involved all the rest of my life,” he said. Cathy Hughes said the experience “instilled in me a certain level of fearlessness and purpose and accomplishment that I carried with me for the rest of my life,” adding, “It taught me the lesson that there’s power in unity.” She has never hesitated to speak out against injustice since then. Demonstrations like these helped push Congress to pass the Civil Rights Act of 1964, which put into place many safeguards to prevent discrimination on the basis of race or ethnicity. Today, people of any color or background can go anywhere they choose. That freedom, however, was hard earned by people like Archie Godfrey and Cathy Hughes who stood up to speak out against wrong. 1.Describe how the Youth Council activists staged their protest of Peony Park. 2.How would you feel if you were told you couldn’t do something like go to a park or go inside your favorite store? What would you do about it? 3.Peony Park is only one example of a place where segregation occurred. Find other examples of segregation. Where did it happen? Who was involved? When did it happen? What did people do to end this segregation? You will design a monument that will recognize the accomplishments of the individuals who helped to desegregate Peony Park. Included with your design should be some words telling people what your monument represents. 1. 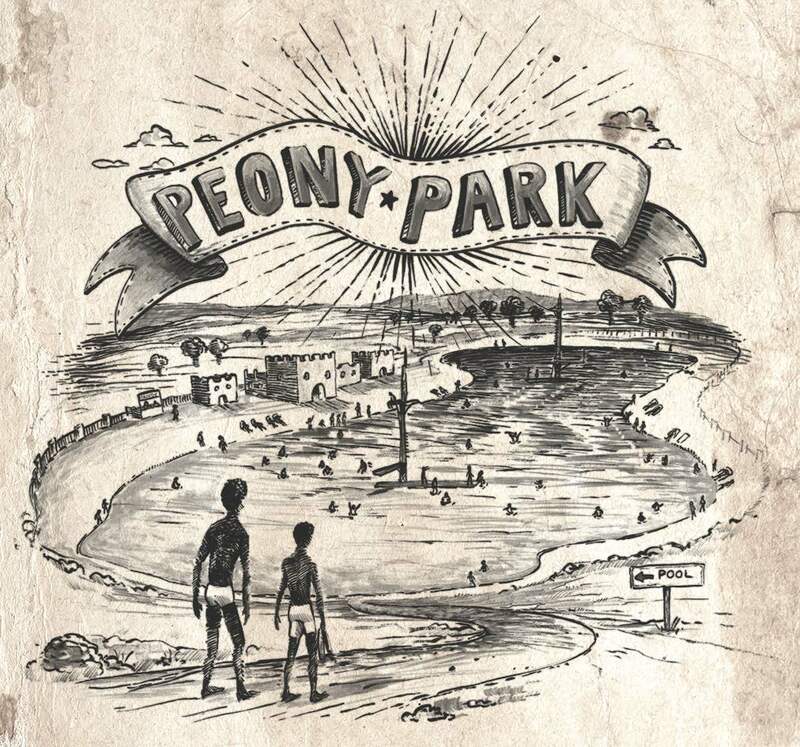 WHY DID PEONY PARK WANT TO KEEP AFRICAN AMERICANS OUT? 2. WHY DID THE LIFEGUARD THINK THIS WOULD BACKFIRE? 3. THIS LIFEGUARD RISKED LOSING HIS JOB FOR SOMETHING HE BELIEVED. DO YOU THINK YOU WOULD DO THE SAME IN HIS POSITION? WHY OR WHY NOT? 4. THIS ARTICLE USES THE WORD “HYSTERICAL.” WHAT DOES IT MEAN? WHY IS FEAR OF AN INTEGRATED POOL CALLED “HYSTERICAL”? USE IT IN A SENTENCE. Weston Thomson is a multidisciplinary artist and non-profit arts organization director living in Omaha, Nebraska. His work ranges from graphite, ink, and acrylic illustrations to 3D printed sculptures. My name is Russ Nelsen. I teach 3rd grade at Standing Bear Elementary. I enjoyed taking what the author and illustrator did and putting it into an iBook! Hopefully this book was educational and fun!